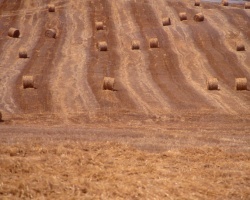 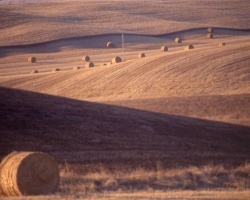 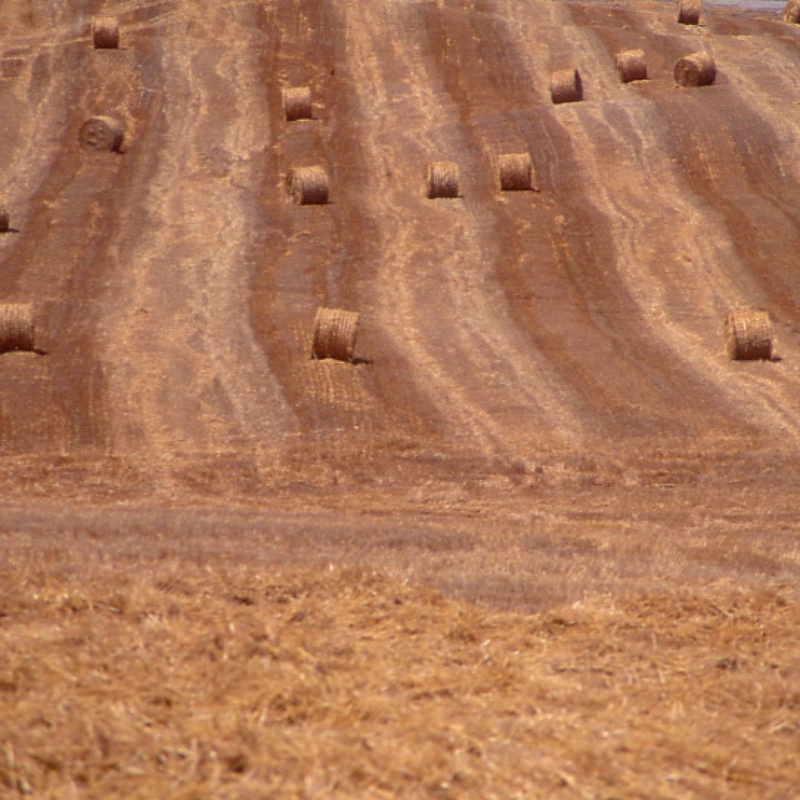 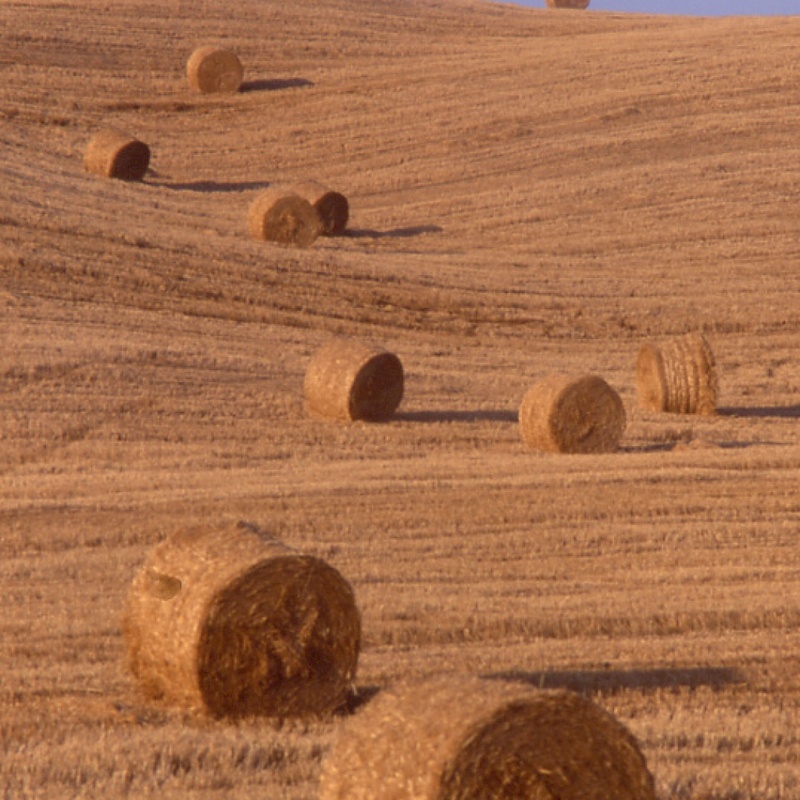 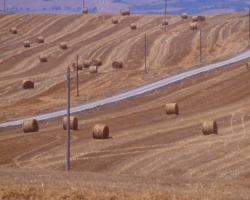 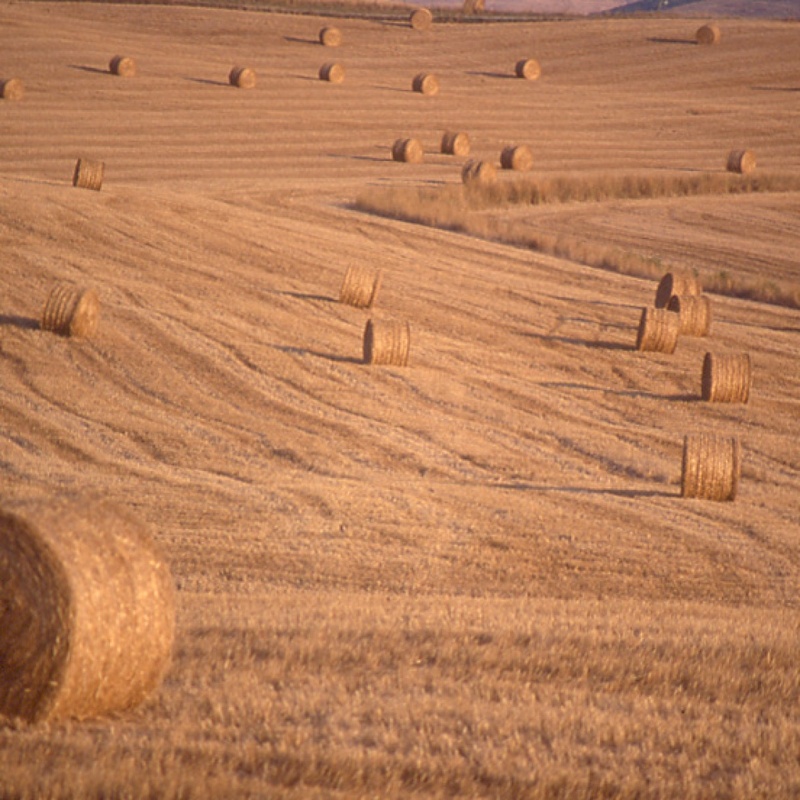 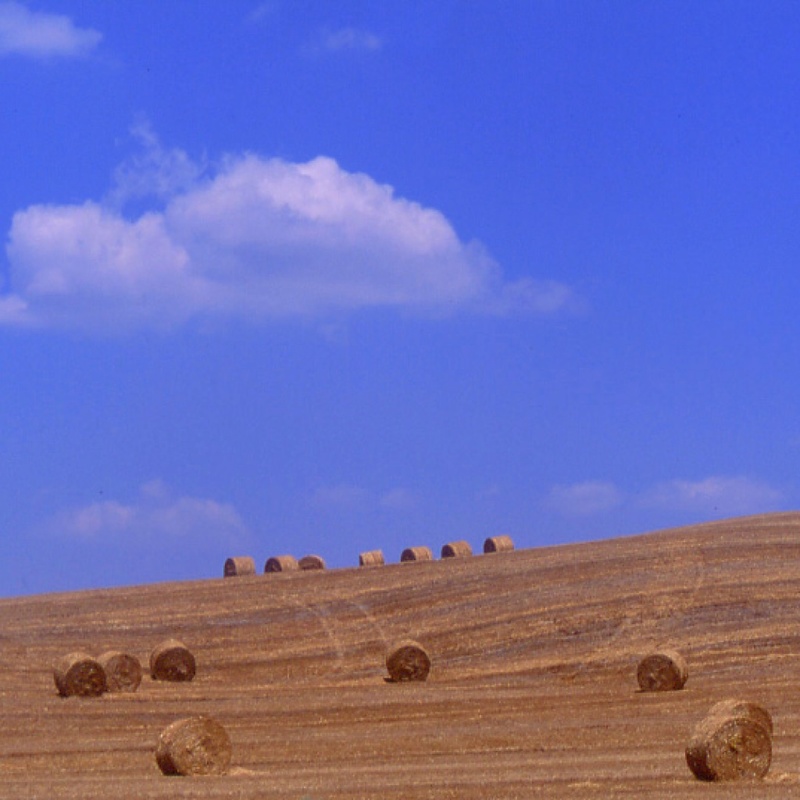 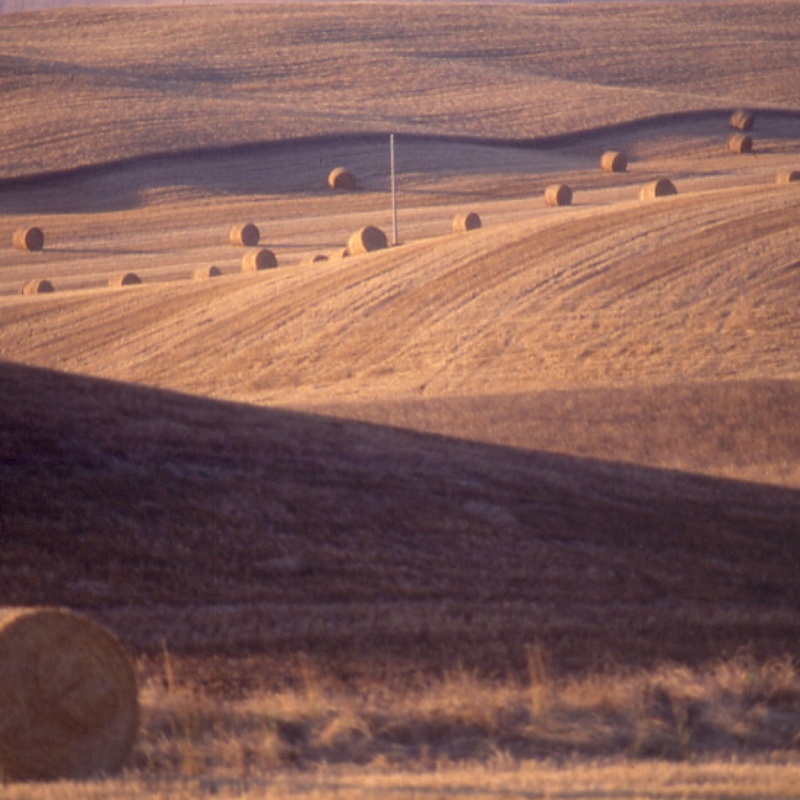 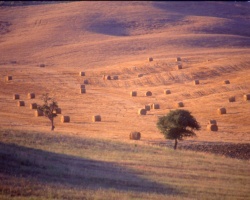 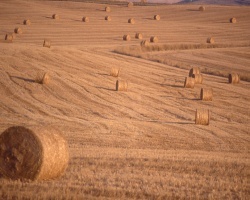 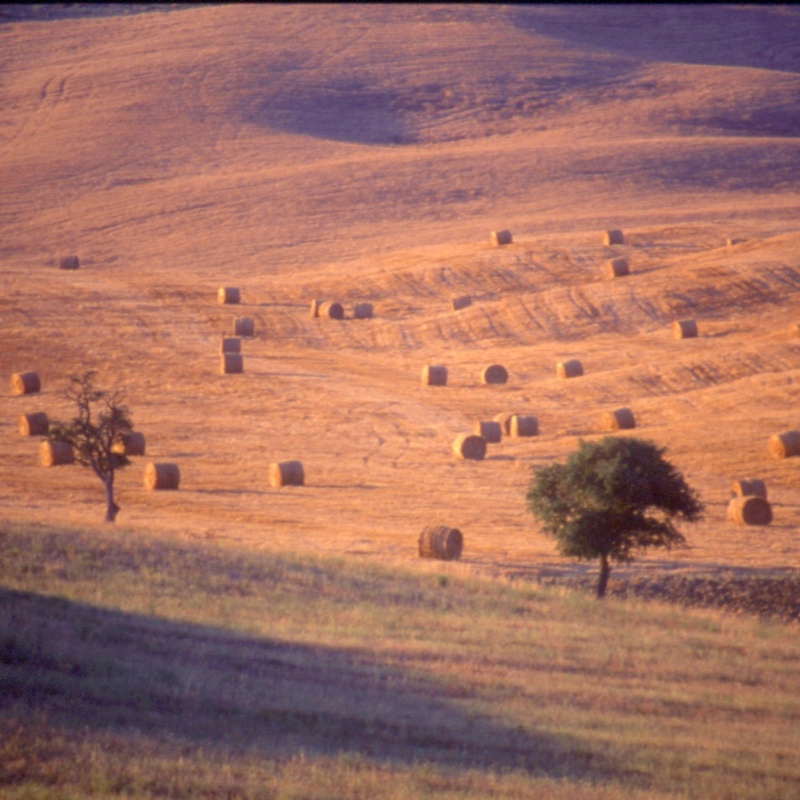 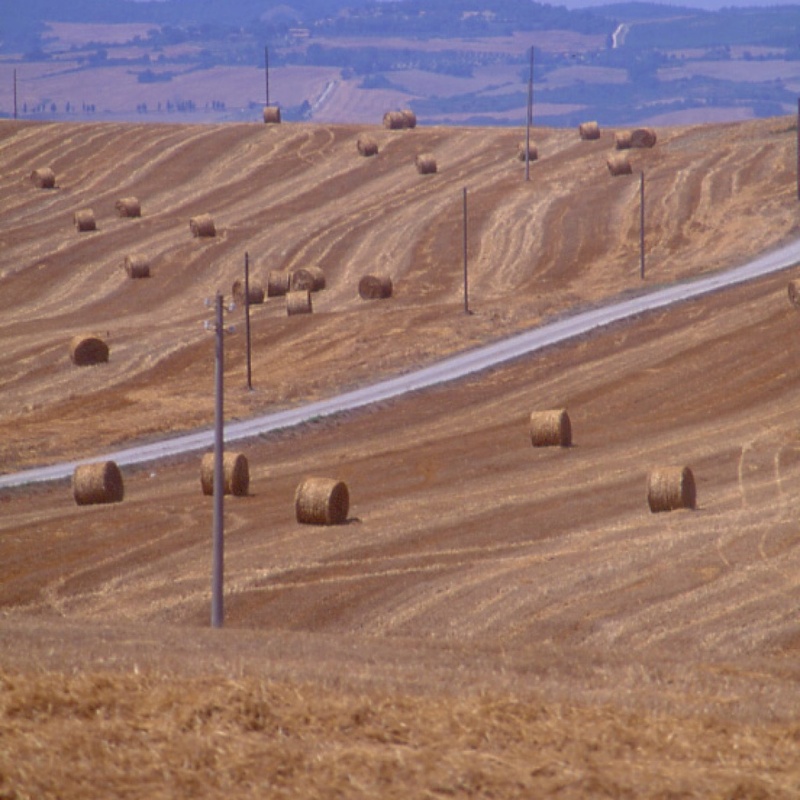 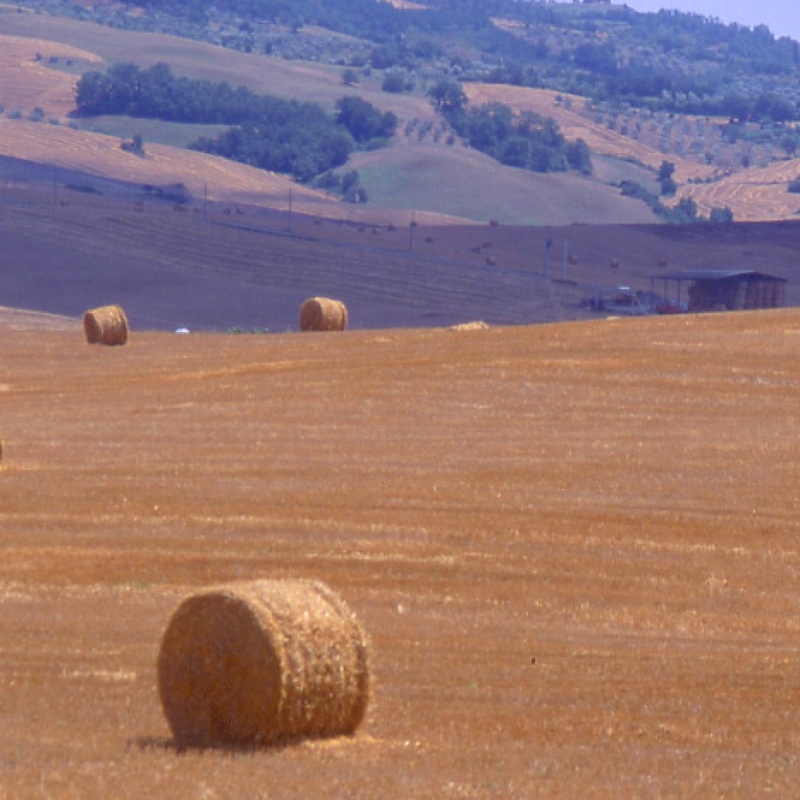 In 1995, near Siena, I decided to reinvent my 1992 experiment with hay stacks on a larger scale. 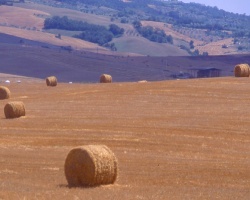 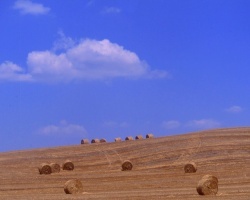 The Tuscan hills, with their dry colours at the end of Summer, offered a perfect background. 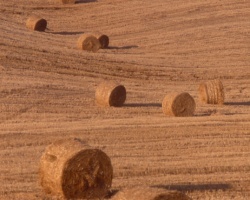 In one setting the stacks were arranged to mimic a slow ballet, their wheeled forms suggesting movement, their mass and texture immobility. 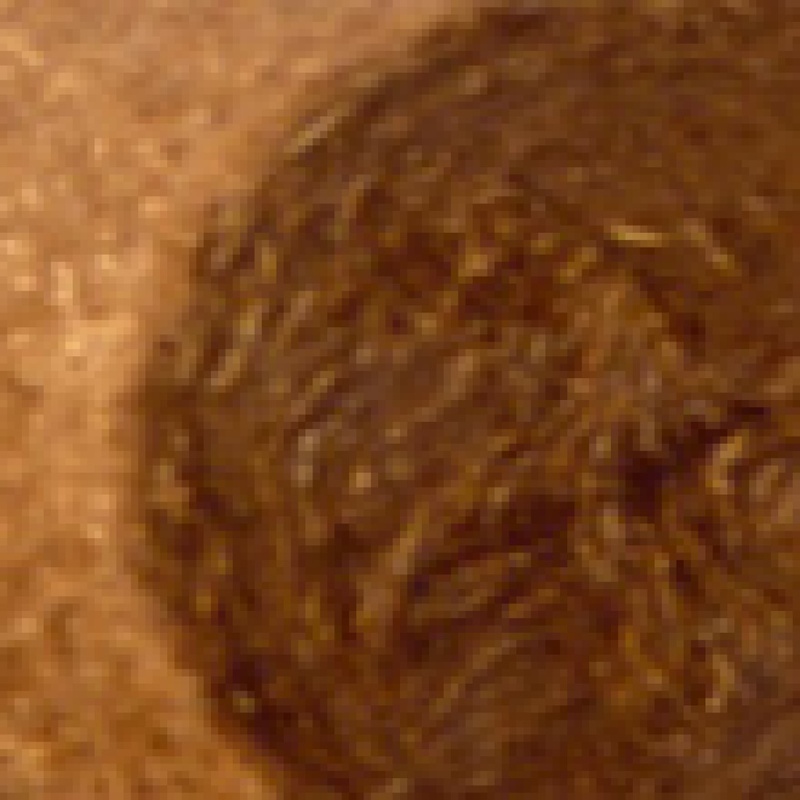 In another setting they hinted at an end of season migration of pacific, but stolid and purposeless mastodons.